Love Your Skin, Love Yourself. If you have never had a facial, chemical, peel, or microdermabrasion, you're missing out. These skin treatments help resurface your skin, giving you the best glow, while reducing your pore size or fine lines and clearing your skin of any impurities. Think of all the toxins your face is exposed to each day... if you take care to protect and cleanse the rest of your body, then why neglect your face? Skin can get tired and stressed, so it's up to you to take care of your skin and give it the love and attention it deserves. Your face is the first thing people see everyday, so make sure your first impression is your best. Facials are wonderful for maintaining beautiful skin. They can help clear acne, smooth fine lines, and improve your overall appearance and complexion. Facials are relaxing and refreshing. Microdermabrasion's are a deeper exfoliation than you can get from exfoliating scrubs. They're great for smoothing the skin, reducing scars, refining pores, decreasing dark spots, and for improving cell turnover rate. After your treatment, your skin will feel as smooth as a baby. Lash tinting is an amazing way to enhance your lashes. Reduce your mascara use and choose from 8 different colors to tint those luscious lashes and beautiful brows. Chemical peels are not as harsh as they sound. They're wonderful for smoothing/resurfacing the skin, reducing pore size, reducing fine lines and wrinkles, fading brown spots, and clearing up acne. How awesome would it be not to shave for two weeks up to one month? Stop plucking those eyebrows twice per week when you can wax them. Waxing is not only great for removing hair, but it also removes dead skin. Your skin will feel more satiny smooth than ever. Hair steaming hydrates dry or damaged hair; it also promotes blood flow and hair growth. Try hair steaming with aromatherapy for a whole new relaxing experience. 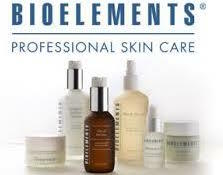 Bioelements products were developed by estheticians and dermatologists that believe in holistic health. Bioelements products contain natural ingredients such as rosemary, sage, thyme, ginseng, almond, avocado, rose, chamomile, and so much more. Get the best facial that nourishes your skin without any harsh chemicals. Satin Smooth Wax uses natural ingredients such as honey, zinc, vitamin E, cherry, lavender, and much more. See the best results only with the best wax.